This couple was building an upscale diner in New Jersey, on a cliff, with awesome views of the New York Skyline. They got design inspiration from the architecture of the Biltmore mansion in North Carolina. With the cliff providing panoramic views, it also created a full hazard. A hazard that had to be dealt with a very rigid fence. Rigid but still very aesthetically pleasing, that complimented the caliber of the design the diner. Part of the challenge was also the dumpster area, was in view of the main dining room. This area needed some screening so as not to detract from the phenomenal view of the New York City Skyline. The fence created with very rigid horizontal channels and 1” solid vertical pickets. Picket fence had authentic forged pointes. The posts were a robust 6” square post with trim detail on top and bottom. Also the fence panel bracket actually extended through the fence for maximum crash resistance. 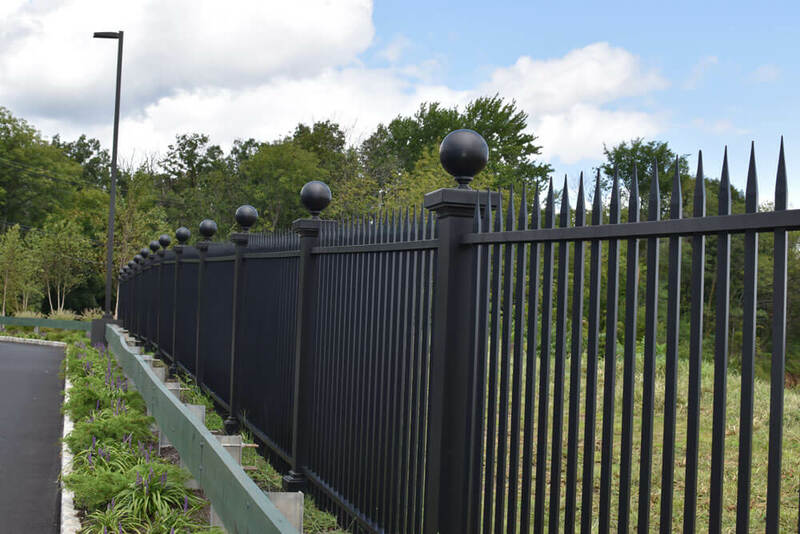 The beautiful fence post was topped with a custom created collar and ball detail for the ultimate wow factor. All the fence posts were embedded into concrete, some into the rock of the cliff itself. 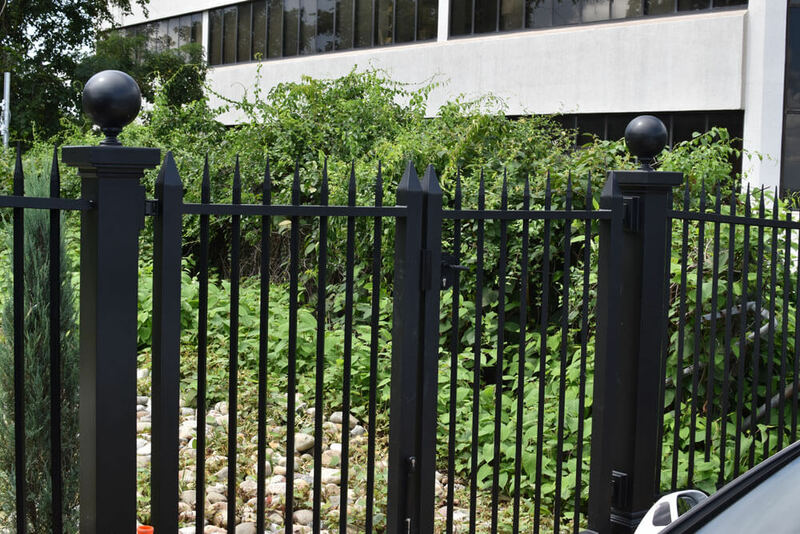 So this metal fence is both a beautiful visual enhancement, in front of the New York City Skyline, providing safety for all the patrons that come to partake in the best cuisine at this New Jersey Diner. For the dumpster gates we used aluminum privacy fence panels and created a visually pleasing arch to keep all the unsightly refuse behind those panels. We added in the stately look of the fence posts unto each end of the gate.